Thanks, Thomas Mengede, Greg Hesp, and @NotEged! 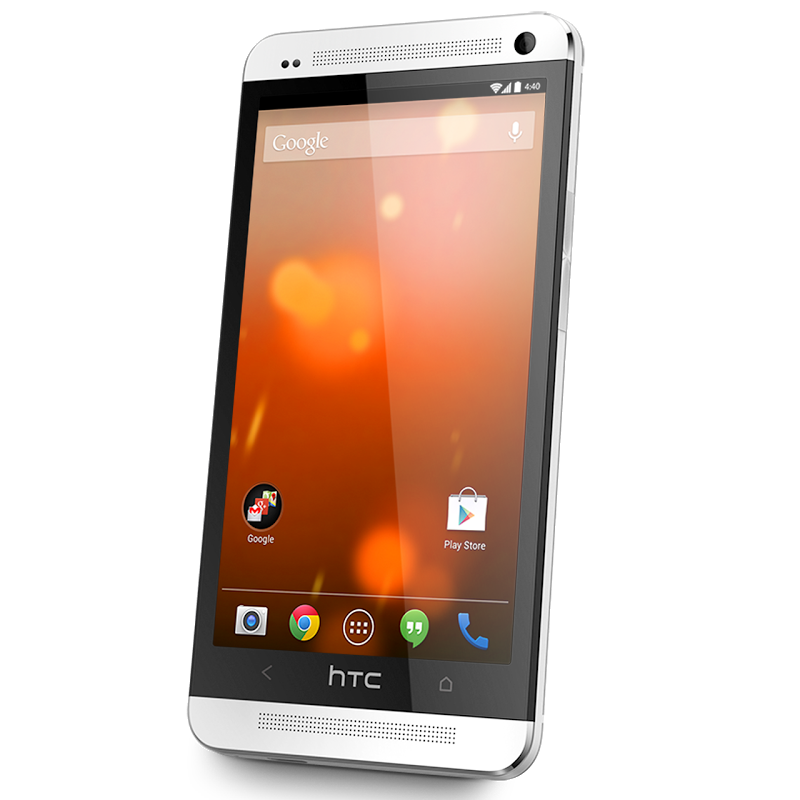 In addition, the Android 4.4.3 open source kernel files for the HTC One M7 and One M8 GPE devices have been published on HTCDev. That indicates that the 4.4.3 update for the One M8 Google Play Edition is ready, and will probably be going out very soon. We haven't heard anything from owners of the other Google Play Edition devices, all of which should be getting 4.4.3 eventually: the Sony Z Ultra, the Moto G, and the LG G Pad 8.3. Check your notification bars, folks. If you own one of the devices above and you see the update, drop us a line in the comments (or over in tips) to let us know. We'll update this post with any additional devices. Update: The HTC One M8 and the Sony Z Ultra Google Play Editions are being updated as well. 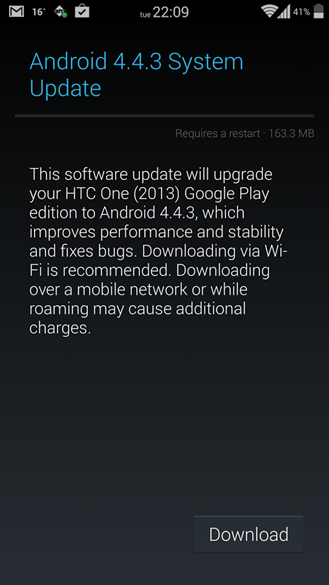 Update #2: HTC One M7 GPE 4.4.3 (KTU84L) OTA url for manual flashing. Make sure you're running Android 4.4.2 (KOT49H) before applying it, then head over to our flashing guide. 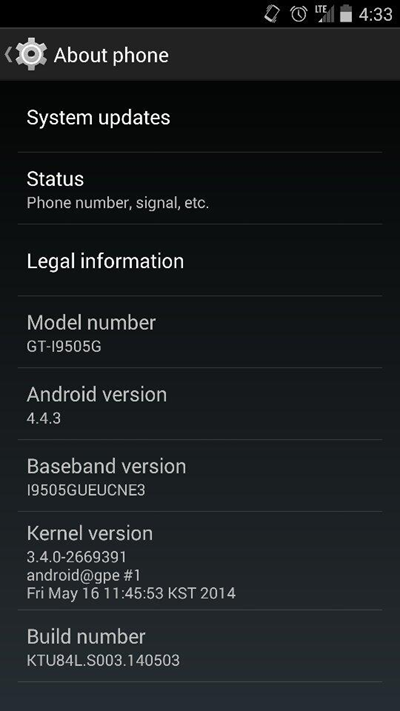 Update #3: Samsung Galaxy S4 GPE 4.4.3 (KTU84L, UCNE3) OTA url. 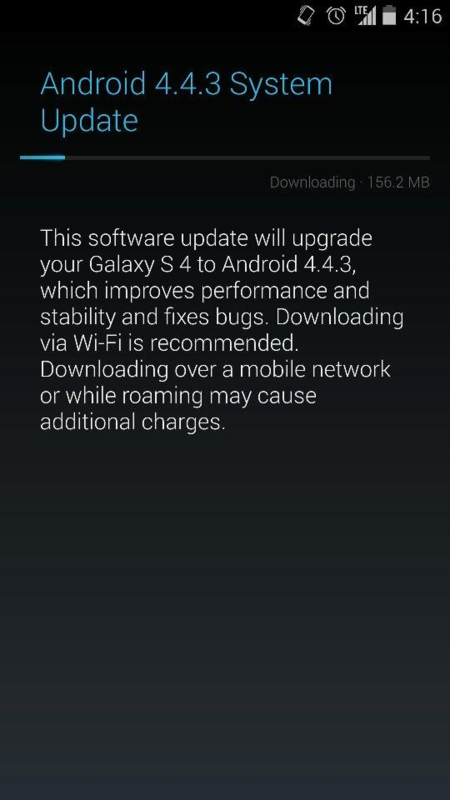 As before, make sure you're on 4.4.2 (KOT49H, UCML4). Update #4: HTC One M8 GPE 4.4.3 (KTU84L) url. Just like above, make sure you're on 4.4.2 (KOT49H). Update #5: Z Ultra GPE 4.4.3 (KTU84L) url. You know the drill - make sure you're on 4.4.2 KOT49H before applying it.